For those of you who are using Fiddler. It has a build in text conversion function. 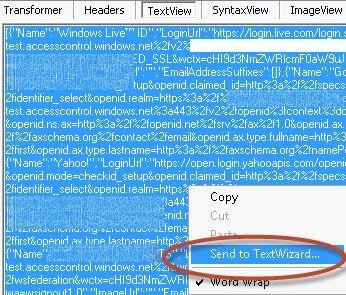 Just goto the TextView and right-click... Voila Fiddler's TextWizard.